This family is represented in Australia by a single genus, Paraplea Esaki & China. 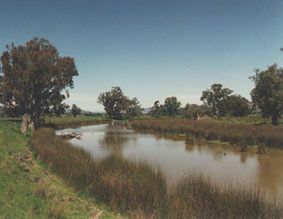 Ecology: Instream habitat: Pleidae species occur in well vegetated swamps and lakes. 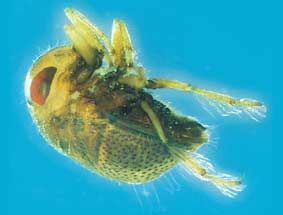 Feeding ecology: These bugs are predators, feeding on mosquito larvae (Diptera: Culicidae) and small crustaceans, such as ostracods (Ostracoda) and water fleas (Cladocera). Habit: Commonly known as �pigmy backswimmers� due to their size and behaviour of swimming upside down, they are good swimmers but prefer to crawl and hide amongst the vegetation. When not moving, pigmy backswimmers are easily overlooked due to their small size and greenish yellow colour. Pleid bugs carry a bubble of air on the ventral side of their abdomen, allowing them to breathe without returning to the surface. When collecting a net sample, pigmy backswimmers become conspicuous after some time in the tray due to this large air bubble. Northern Hemisphere species have been observed to leave the water to apply a secretion from the metathoracic scent glands to the water repellent ventral hydrofuge. This keeps the hairs free of microbial contamination and thus hydrophobic and functional. Life history: In Northern Hemisphere species, the eggs are elongate to oval with a flattened ventral side. The female lays the eggs in submerged plants, preferably leaves but also stems, using a toothed ovipositor. The eggs are glued into the holes with some of the egg remaining exposed. Eggs hatch after four weeks. 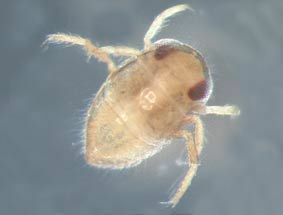 Development from nymph to adult takes only six weeks.